It’s a parent’s worst nightmare - your child ends up in the hospital with severe injuries following a motor vehicle accident. Even though you took the proper safety precautions and restrained your child in an approved car seat, your child was still hurt. Sometimes, the injury is unavoidable, but sometimes the injury was caused or exacerbated by a defect in the design or manufacturer of the car seat. In all 50 states, parents are required to keep their child buckled up in a car seat until the child meets certain age, height, and weight requirements. Even though you took the proper steps to ensure your child’s well-being, he is still injured due to a defect in the car seat. It’s time to reach out to an attorney who has experience in defective car seat injury claims. Harness, buckle and should strap failure. If these components fail, your child may be ejected from the car seat. Bends in the area where the seatbelt connects to the car seat. When this area becomes damaged, the car seat may launch from the vehicle. Poor posture support. If your child slips down while in the car seat, he is more likely to be injured during impact. Inadequate padding. The padding in the car seat is designed to cushion your child if you’re involved in an accident. Without enough padding, your child may end up with severe injuries. Complicated instruction manuals. It’s the duty of the car seat manufacturer to provide you with clear, concise instructions. If the manual is difficult to understand, you may end up improperly using or installing the seat. Children do not properly fit in standard vehicle seats. Car seats are needed to make sure your child has adequate protection during an accident. Harnesses hold your child securely in place while the frame of the seat keeps your child’s body in the right position. A defective car seat, however, will not provide enough protection. If you are in a collision – particularly at a high speed, the car seat may separate from the seatbelt and launch from the car. There have also been reports of car seat harnesses releasing after impact, causing the child to eject from the seat. 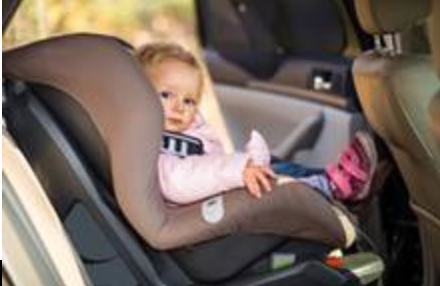 Defective car seat claims are complicated product liability cases. Manufacturers will deny any wrongdoing, and it’s up to you to prove the car seat was defective. These cases are best handled by an attorney with experience in car seat claims. Your attorney will negotiate with the car seat manufacturer until a fair settlement is reached. If the manufacturer will not agree to a just settlement, your attorney will take the case to trial.